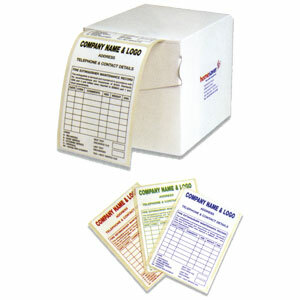 Available in standard format or personalised with your company name, address and logo. Personalised labels available in a choice of colours. Option of paper or vinyl with industrial grade, extra-permanent adhesive as standard. Label dimensions 70mm x 100mm. *Call our sales team for details on how to order personalised labels.